Good afternoon, my crypto friends from various regions. You never do it when you want to sell tokens, but because you see the KYC requirements that must be done in order to withdraw, we become lazy to sell the token. The majority of ICO investors, bounty hunters and traders, want a service from a simple and fast exchange platform, because we know, the BTC movement is also fast. Therefore, exchange is the most important position to support our success in the business of selling and buying cryptocurrency. Basically, the existing exchange cryptocurrency platform has two concepts, namely Centralized Exchange and Decentralized Exchange. Centralized Echange is an exchange where there is a third party who provides services to its users, in helping exchange between FIAT and Cryptocurrency. The role of third parties in providing this service is very central. Therefore, they charge a small fee for all traders who make transactions through the platform. Suppose you want to buy an ETH at a Centralized Exchange, then you can take it in the order book or you can also set the price according to your wishes. But you need to know, if you put the price lower than the normal price, it will likely take longer. Conversely, if you immediately take orders that are in the order, then the transaction time will be directly processed. Funds from traders are also controlled by the exchange. During this time, Centralized Exchange is more often hacked and server down, rather than Decentralized Exchange. Some examples of centralized exchange include Bittrex, Binance, KuCoin, Poloniex, Bithumb, Bitfinex and others. Decentralized Exchange is an exchange that does not rely on exchange services to store user funds. All users get full control of their respective funds. All user data will be securely hidden without anyone knowing, or anonymous. And the distinctive feature of Decentralized Exchange is that there is no need to register or KYC. So that the users can directly make a sale or purchase transaction without the hassle of preparing an email or telephone number. Local Token Exchange (LTE) is a decentralized cryptocurrency exchange platform with liquidity like centralized exchange. Local Token Exchange allows all exchange processes to occur in P2P without leaving security and convenience for all users. Local Token Exchange allows exchange activity to be faster, easier, safer and also every user will get profit sharing results. This is like a merger between decentralized exchange and centralized exchange. With the support of service cover like this, maybe the Local Token Exchange will be the best choice for us to be able to exchange cryptocurrency. Local Token Exchange also provides support for developers who are raising funds by means of ICO. The platform can only promote a number of ICOs to users and also facilitate the processing of related coin listings so that they can be directly traded by investors and others who feel late in the ICO event. For LTE Token holders, they will also get an airdrop from the ICO in collaboration with the Local Token Exchange platform. What's more interesting than the Local Token Exchange is that there is a dividend distribution for registered users. As much as 70% of the profits of the business model, namely from trading fees, escrow fees, withdrawal fees, ICO review fees and so forth will be distributed to members who have verified the data. Of course this will be a special attraction and can also be used as a strategy to get a growing number of users. Reciprocal relationships like this, will benefit both parties, namely developers and users. In the KYC / AML process, the platform will provide convenience and speed to its users in completing the KYC / AML process. Local token exchanges also always comply with existing regulations. All this is done to ensure the security between users and service providers. And if there are irregularities in the LTE platform, then we can all report directly to those who can deal with related problems, such as local government. Keep in mind, that the Local Token Exchange does not accept deposits in fiat form, because it only supports exchanges between crypto assets only. 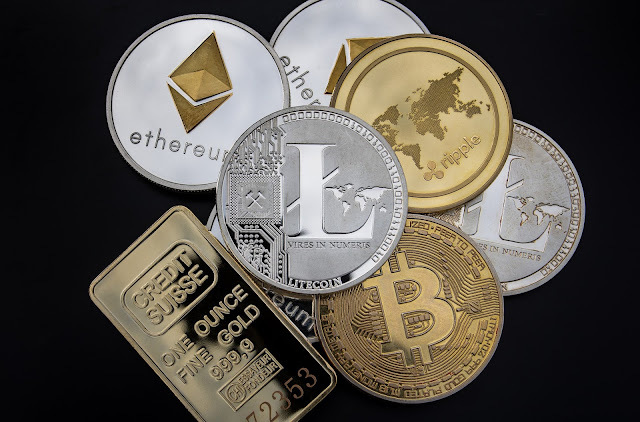 Some popular coins such as BTC, ETH, LTC, XRP and others, will be available in Q2 2019, according to the information contained in the Roadmap. LTE Token is a symbol of the Local Token Exchange platform, where this token is the official official token that can only be used to enjoy all available services on the Local Token Exchange platform. The more tokens you store, the more Stake you can get to get dividend bonuses from the platform. In addition to the internal Token Exchange platform, LTE Tokens can also be exchanged with other cryptocurrency when the exchange platform is released.